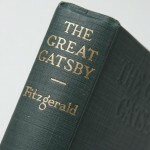 To this point in the novel, most of what we’ve been told about Gatsby comes from other sources; that is about to change. 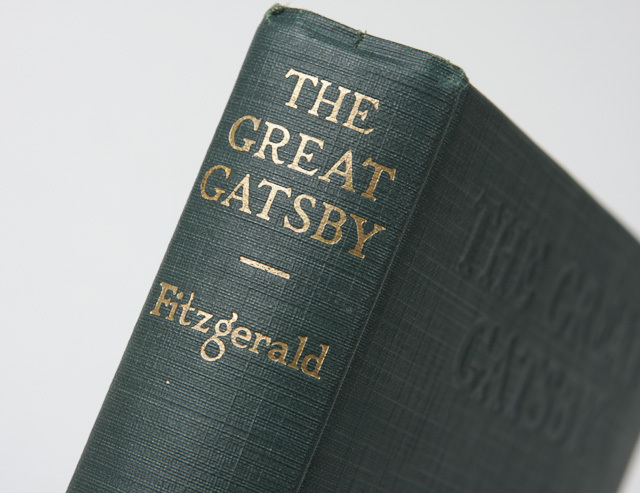 While another character, Meyer Wolfsheim, “…the man who fixed the World Series back in 1919…” is introduced to add another layer to Gatsby’s identity as supplied by others, Gatsby shares details directly with Nick. These are equally as unreliable as those glimpses offered by others. The narrator is asked to take part in what becomes the turning point in The Great Gatsby. Jordan acts as emissary for Jay Gatsby as she convinces Nick to arrange for a meeting between his cousin Daisy and Gatsby who we learn have a past, one very similar to the real life beginning of F. Scott and Zelda. Chapter 5, the mid-point of the book, sets up the rest of the novel as we’ll discover in Tuesday night’s discussion. “Meyer Wolfsheim” is again a real person – Jewish gangster Arnold Rothstein – who was the brains behind the Black Sox scandal – and who was murdered in 1928 over gambling debts. Due to the similar names many assume Meyer Wolfsheim is the much more successful and longer living Meyer Lansky (d. 1983)As the old Lower East Side has gentrified, long time restaurant Ratners closed, and was replaced by a high class cigar bar called Lansky’s Lounge – which has since closed as well. I am truly indebted to your wonderful insight of the setting for The Great Gatsby. I made a fast there and back visit to Long Island in 1991 when I picked up my seven year old daughter who was living there, but I never had the chance to truly explore New York. My father is a graduate of King’s Point, (1950), and he described a New York of the late ’40s. I’m raising the rank of a visit on my bucket list as a direct result of your informed descriptions of the area, both past and present. Thank you, Evan! I am not sure how much LI has changed since 1991. Certainly more vineyards on the East End but the Gold Coast is largely stable and settled – save for the occasional mansion demolished because its not grand enough for a new owner. Now that Daisy’s married, she’s a social queen. In the 20s? Almost everyone’s money is tainted. As long as you don’t anger the people at the top of the ladder, and nobody talks about the source of your money, you can keep your social status. Thanks for the added information about Daisy social status. I do not know much about this period. I have yet to read up on it. It is a fascinating time that is for sure! At least for this novel, I wonder about the source of money in context with the “social rules” of those with “old money.” I think that this becomes an issue later in the book. We’ve gone past our scheduled time, though I’m always happy to see the conversation grow beyond thirty minutes. Still, I want to be respectful of your time and so I invite you to add further comments later on. Let’s get together Thursday night to discuss chapter six! Thank you all for another great discussion. “Evan Frankl • What many people who are not from the metro NYC area do not realize is that almost everyplace mentioned in the book is a real place with just the names changed. Thanks for the explanaition. Makes sense now. I think Daisy might be overwhelmed about what has transpired. Nick leaves them alone so there is no worry so far. Looking forward to more reading. It’s melancholy but I can sence the emotions in the story and its realistic. Yes I want to read more about fixing the world series! I felt like the first 4 chapters were more information. The 5th chapter I feel like we are starting to see who Gatsby and Daisy are and how their lives have changed without each other in their lives. Prior to chapter 5 I was having a little bit of trouble keeping all of the characters straight. We see Daisy as a woman who settled for a husband of great financial means, but no real love. I dare say she settled for life as a trophy wife. The Great War took away her true love, Jay Gatsby. You can tell that even though 5 years have passed since Daisy and Gatsby last saw each other, the description of how Gatsby constantly observing Daisy’s every move-you can tell that he is deeply in love with her. Gatsby is in love with Daisy. That much is seemingly apparent. What about Daisy? What do you feel her emotions are at this first reuniting? She seems a bit nervous, but very impressed by Gatsby’s tremendous wealth. I’m not well informed about Fitzgerald, but most reference to the author of The Great Gatsby refer to Fitzgerald’s own chance meeting of Zelda while he was stationed in the South during The Great War. Zelda refused his initial romantic advances, at least where marriage was concerned, as she felt he essentially didn’t make enough money. Fitzgerald revised a previously rejected novel and then found success – and wealth or the promise of wealth – by publishing “This Side of Paradise.” The two were wed shortly after its publication. I think she originally felt that he was a sweet, brave boy and she was flattered by his attentions but maintained her “social princess” status. Now, I think she’s wondering if she made a mistake while being aware that she can’t really undo it at this point. The question remains, then – can a “social princess” still be a social princess if her man’s wealth is tainted by the source of his income or his status being nouveau riche? The question is whether or not she is still in love with him, or if being in love with him was a fantasy for her, some tragic daydreamy melodrama with her as the heroine. I’m with you on those points. Gatsby, however, seems blinded by love, obsession or both to any such possibilities. I agree with Erin. Same here. I think the confusion of characters is intentional. We’re in some part intended to feel Nick’s midwestern bafflement and amusement at all of the people showing up randomly, running about aimlessly, all trying to impress each other and get whatever they can get. Valkyrie Page, you’ve read this before several times if I’m correct. Are there any new insights that caught your attention in either of tonight’s chapters? I think that Chapter Four is a nice contrast to Five because Gatsby spins his silly dime store novel yarn about his sad past and his war heroism, and Chapter Five shows us more of who he really is. Who would like to start off with any comments about The Great Gatsby in general or either chapter? I had a question: Why does he refer to the setting as being east or west egg? What does egg refer to or why does he use that word? Anything significant? I believe the “egg” references have to do with the geographic similarities between the two, egg-shaped juts into the bay. I’m going back in the comments to find a “legend” of the fictitious locations as they relate to real places on Long Island. Good evening! It’s Eight O’Clock! Who’s here? Hello, Tammy! Glad to have you with us, as always. Hi, Mark! I am ready and this is an excellent book and an easy read. Hello, Erin! So happy you could join us. Is Sophia hanging out too? You’re setting a good example, mom! Good evening! Pay no attention to the error behind the URL. As always, I’m looking forward to discussing chapter FOUR and FIVE with all of you at 8:00.